The world of tech is in a constant state of evolution. For one, new and disruptive innovations are introduced each year. This provides the industry with enough clout to be a key economic driver and a driver of progress. One thing’s for sure, new players in the arena continue to spring up, sustaining the conditions necessary to the industry’s growth. However, considering the number of tech startups that are emerging as of the moment, it’s important for new players to invest more in marketing their products and services. The goal right now is to secure a better market position. If you happen to be among the many startup entrepreneurs in this highly competitive field, you are bound to use various marketing channels. That being said, you’re probably looking towards the usual audience touch points such as your business website. But one channel remains as a standard part of the marketing mix. Of course, we are talking about social media. After all, what tech company doesn’t manage an official Facebook page or Twitter account? One thing’s for sure, these social media channels are also valuable sources for high-value leads. 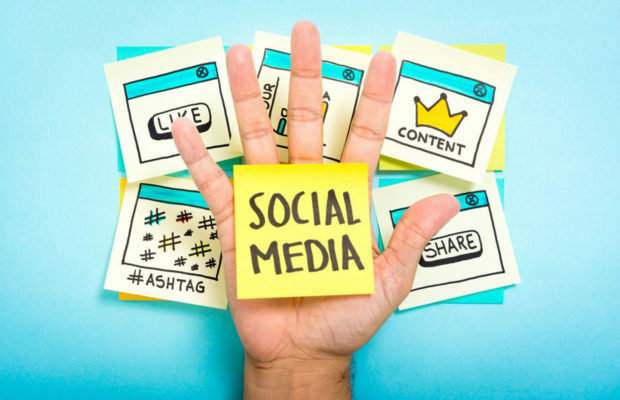 It’s only a matter of leveraging social media in a way that broadens your brand’s reach and nurtures potential clients into making a purchase. Here are a few tips to help you position your tech startup through social media. When you’re sharing content through social media, you won’t have to rely too much on text-based content such as blog posts. However, you will also need to balance this mix using image-based content such as infographics. One thing’s for sure, infographics are one of the best content pieces you can share on social media, with at least 59% to 65% of marketers using it in their content marketing. That said, make sure to create infographics that are related to your products or services. With a healthy dose of stats and empirical evidence, you can effectively publish infographics that are valuable to your audience. We all know that Instagram is more applicable to the lifestyle crowd. To think it could be used to market tech products is just too good to be true. Then again, it is possible to use the social media network for promoting your tech business. You can simply create Instagram stories highlighting your best products on sale. You can also produce image captions that feature stats and informational tidbits that tech consumers should know. If you want to grow your Instagram following further, you can consider certain tactics like attracting more Instagram followers and boosting your posts for better visibility. In terms of nurturing potential customers for your business, you can simply produce videos that are related to your product or service. For this, make sure to have the right equipment. Aside from that, you also need to come up with the right content to talk about in your videos. Since you’re a tech startup, you can provide simple DIY tutorials. Other than that, you can also discuss certain tech concepts that your audience ought to know about. I have a feeling you dis-included Facebook and Twitter too soon. They are pretty much still in the game.